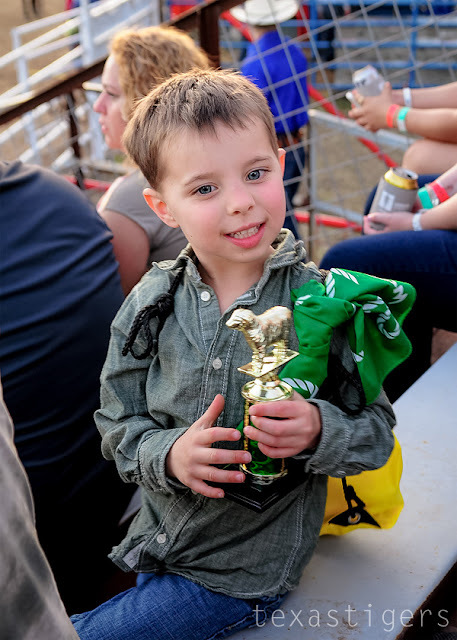 A little over a year ago Micah had a classmate who came in one morning with a big shiny belt buckle that he had won when he participated in mutton bustin in the San Antonio Rodeo. 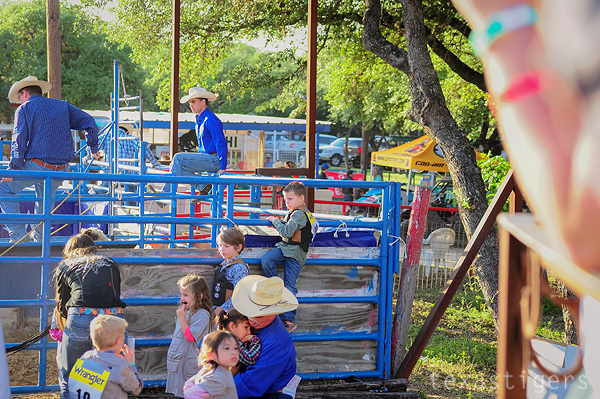 That afternoon when I picked up Micah from preschool, he told me all about it and how he wanted to ride a sheep too! It was too late for the rodeo that year so I just let it drop and thought he'd forget about it. 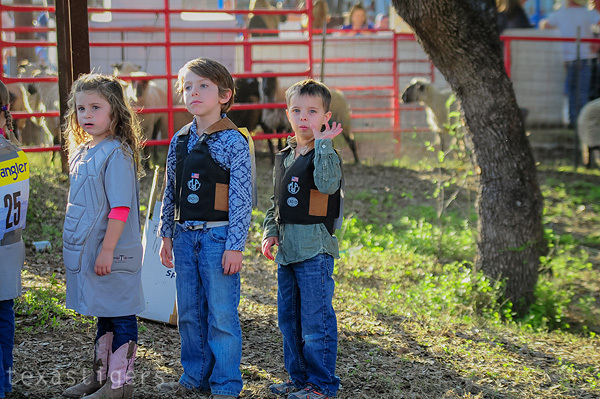 Come the following year, Micah again had another classmate participate (and by the time I thought about the rodeo coming up, sign ups had already passed as they are about 4 months before the rodeo!) 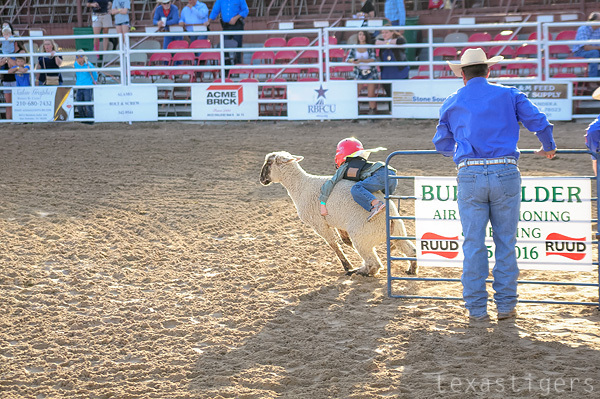 and thus Micah was again wanting to try mutton bustin. 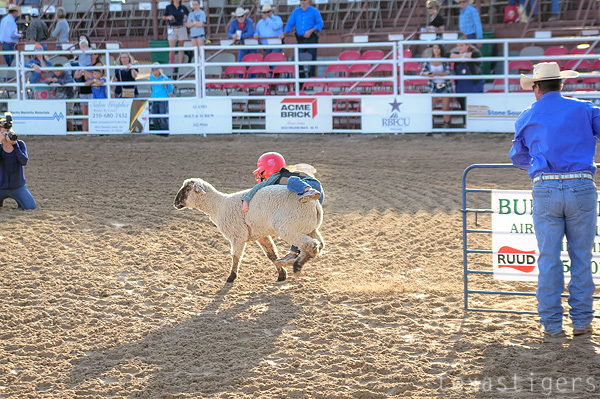 I had showed him via youtube what it was all about and prepped him as much as I could that he would in fact fall off the sheep and he just needed to hold on tight as he could. He was a little nervous but mostly just confused by the mouth guard in his mouth it seemed. He was the last one to go - he tried to climb up the fencing to watch those who went before him but I'm not sure how much he could see. At this point my mommy anxiety is going up as kids are of course coming off the dirt crying (but quickly getting over it) and I'm rethinking my decision to let him participate even though he had talked about it for the past year. He was lifted up and over into the shoot with the sheep. He tried to hang on but quickly slide back and off to the side of the sheep. 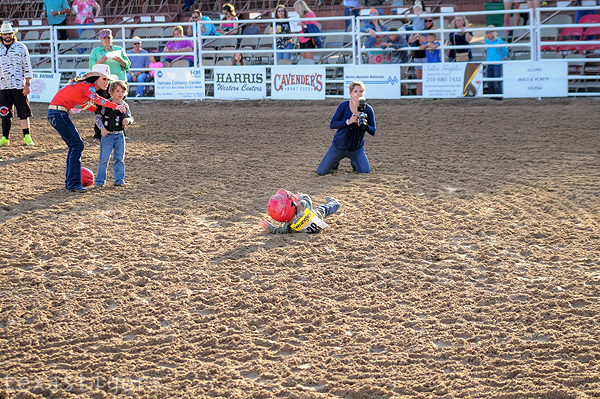 He like most of the others came out of the arena with a few tears because the helmet (which was a little big on his tiny head) bonked him in the back of the head when he fell. He was over it pretty quickly when he saw he got a trophy and a shirt in his goodie bag for participating. 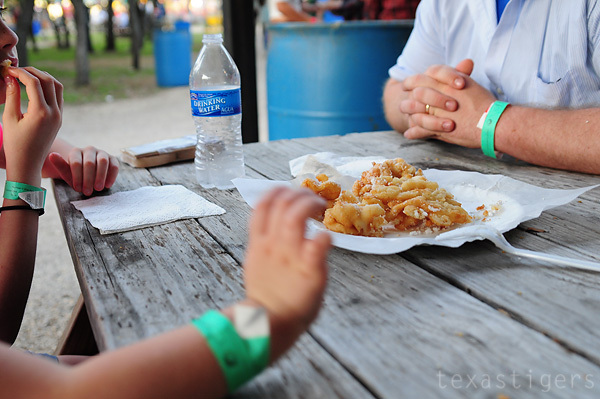 Since it was a carnival and rodeo, we also took the time to indulge in some carnival food - especially a funnel cake. 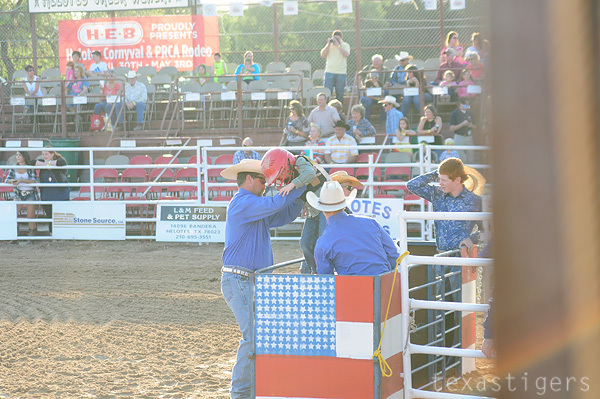 Then headed back into the rodeo to go watch some of the professional rodeo events. 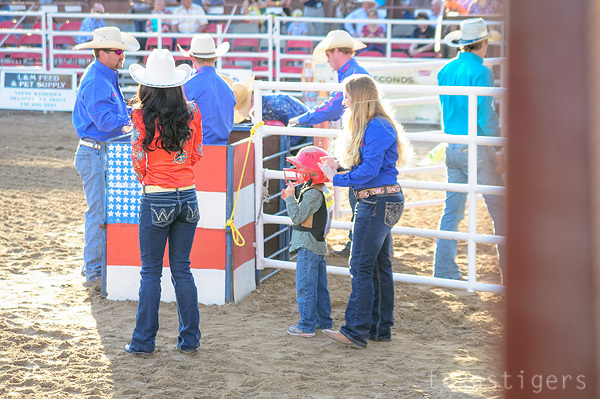 Micah was asking to go home and go to bed a little before his normal bedtime though so we didn't get to stay and watch the bull riding. Which was a bummer. Micah has already declared he never wants to do that again. Thank goodness. I'm glad though that I did give him the chance to try it since he had asked for so long to do it. 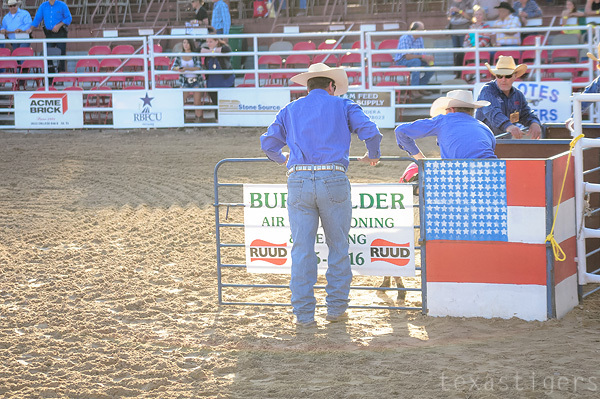 Next year we'll just go and watch the rodeo and maybe get to stay and watch the bull riding at the end too.